This beautiful bouquet is the epitome of elegance and grace, and will be perfect to send to a loved one for any occasion! 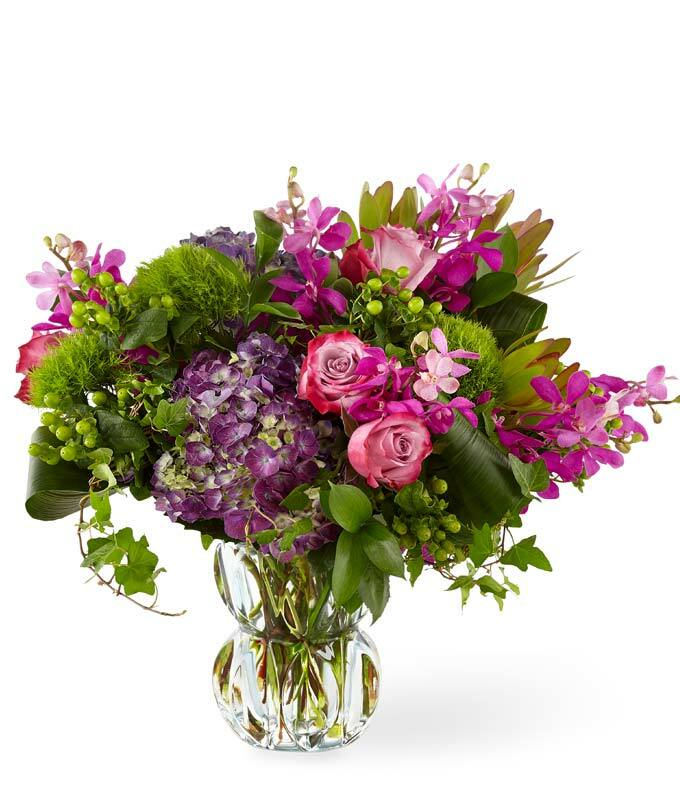 The bicolor roses and pink orchids pair beautifully with the purple hydrangea and lush greens. Approximate arrangement Height 19", Length 20"